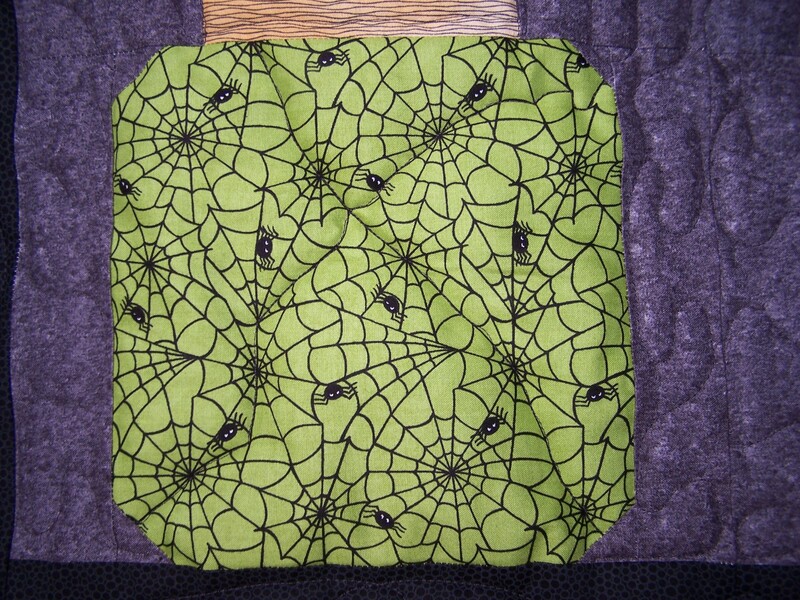 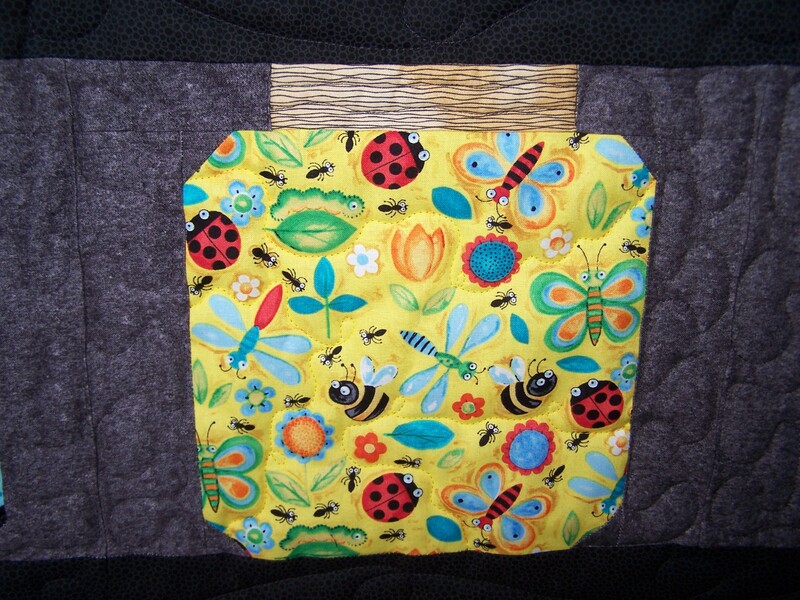 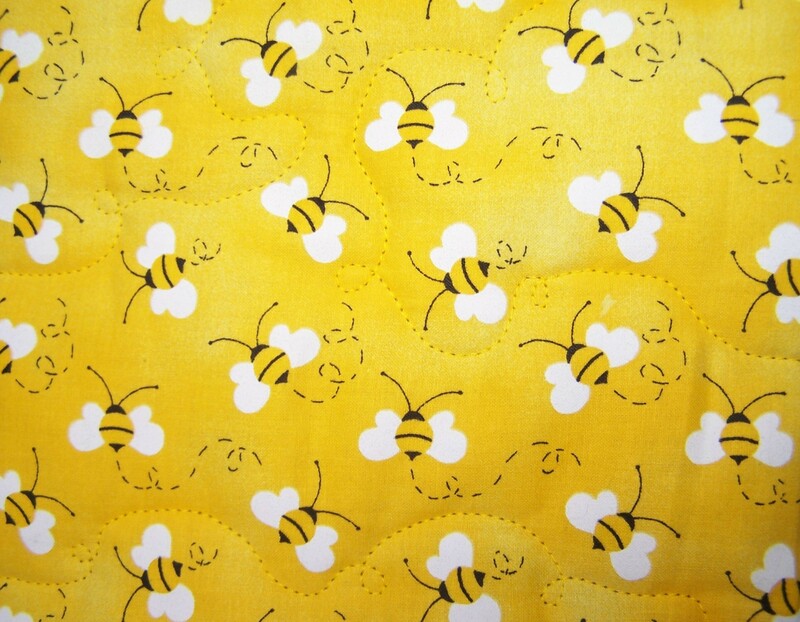 Here’s a beautifully pieced, adorable bug jar quilt for a lucky little boy. 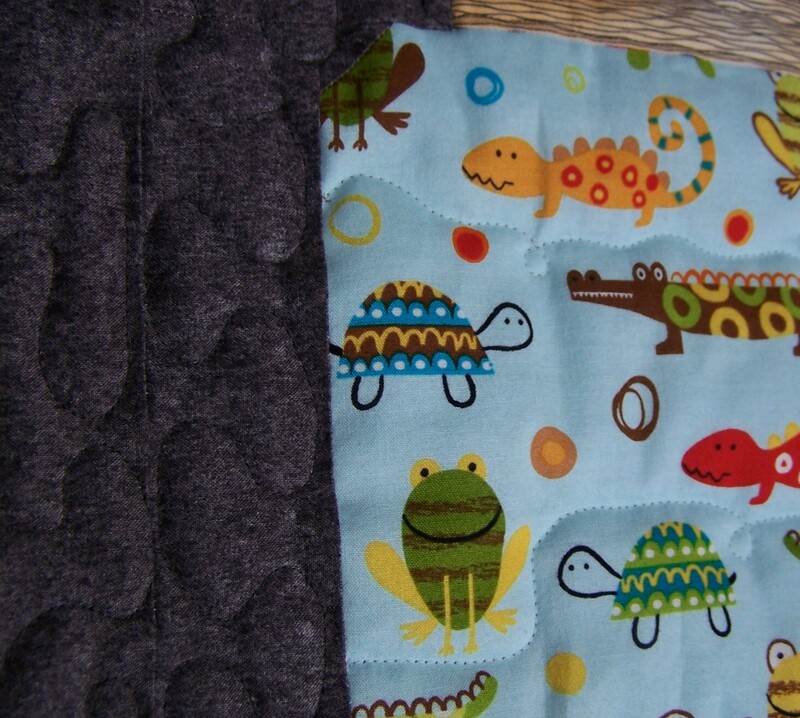 Customer wanted it fluffy, so 80/20 batting was used and custom quilting was held to a minimum. 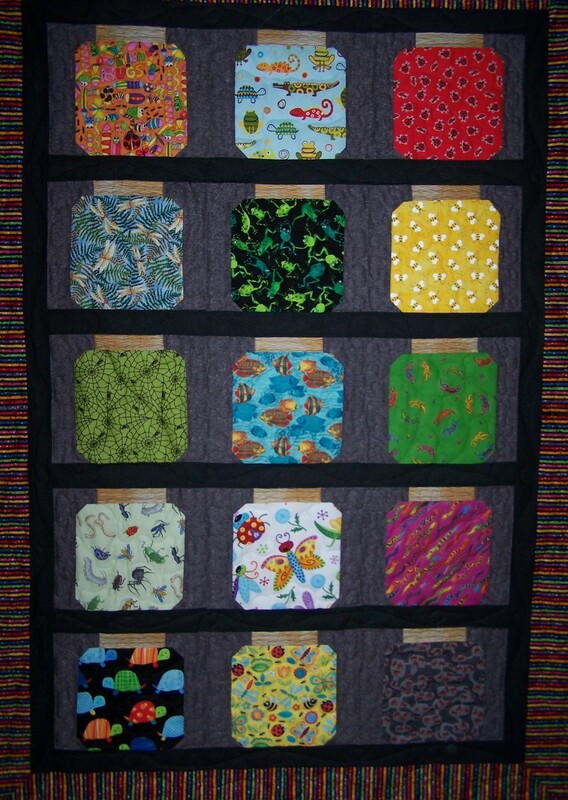 CONTACT ME if you have a bug jar quilt (or any quilt top) waiting to be quilted. 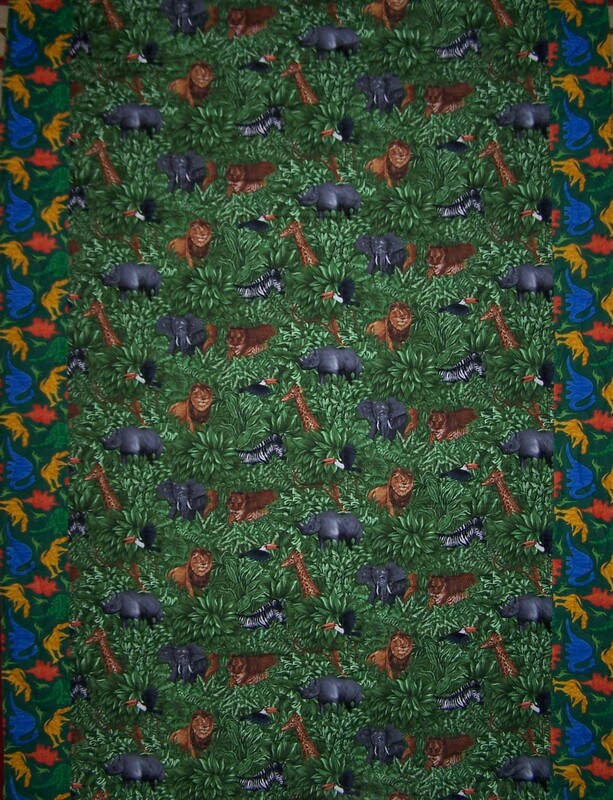 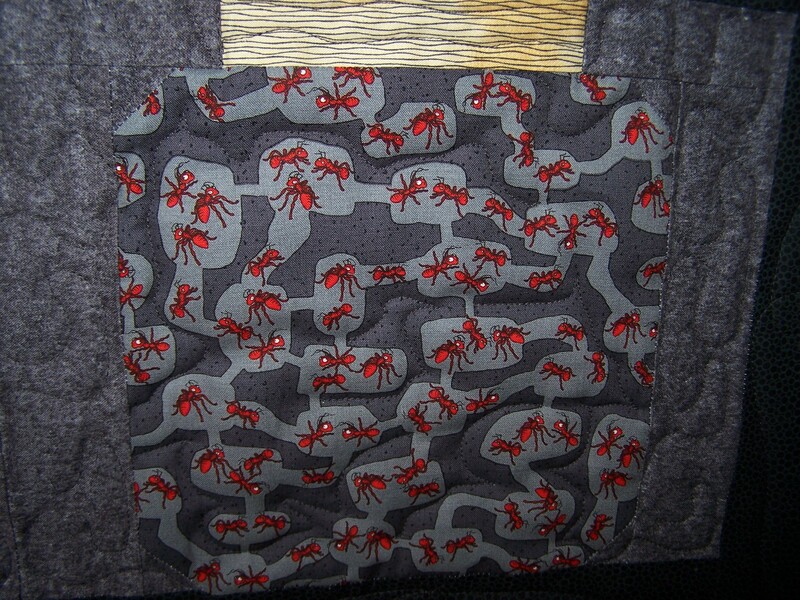 Here’s the back with the realistic animal fabric centered to the quilt top.